Want the mind of someone 11 years younger? Just eat two servings of leafy green vegetables a day. According to Rush University in Chicago, vegetables like spinach and kale are loaded with nutrients, like vitamin K, lutein and folate, which preserve memory and speed up thinking. And a study of older adults found those who ate 2 servings of leafy greens a day had the mental agility of someone 11 years younger. •First: Flaxseed. It can reduce the severity of cramps, because it’s loaded with omega-3 fatty acids. They reduce inflammation – and prevent production of a chemical that intensifies muscle contractions. •Another PMS food: Spinach. The magnesium in spinach eliminates excess fluid from the cells in your body, to reduce bloating. Do you drink fresh green juice daily? That green juice you sip every afternoon could have an unexpected side effect: Stained teeth! 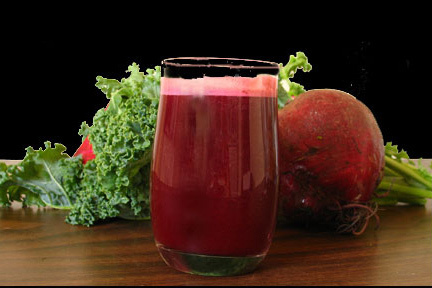 Fresh-pressed juice blends made with dark leafy greens and beets contain plant pigments called chromogens… But they can build up on teeth – and as little as one juice a day could cause stains. The effect is a lot greater when you sip the juice, instead of just eating those foods. So sip through a straw so it doesn’t come in contact with your teeth. 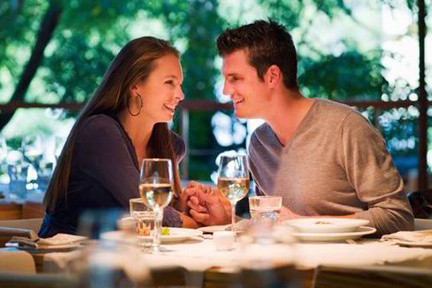 You can spark chemistry on a dinner date by choosing certain foods. Here’s what to order, according to registered dietician, Cynthia Sass. Ladies, to feel more attracted to your date, eat foods rich in zinc: Like beef, shellfish, spinach and chocolate. Zinc raises testosterone in women… which will make you more likely to find your date attractive. And ladies, if you want your date to find YOU attractive, order anything with celery and asparagus. They encourage your body to release pheromones. Or order spinach to boost your estrogen. Because both chemicals will make you seem more attractive to your date. Eat more lentils, spinach & asparagus to be happy! If you want to feel happier, naturally, get more folic acid from your diet. According to the University of York, it makes your body produce more dopamine – a pleasure boosting brain chemical. It also stimulates GABA, a relaxing neurotransmitter. 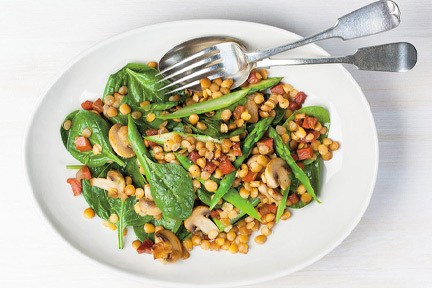 You can get folic acid from foods like lentils, spinach and asparagus. If the summer weather is making you stink, eat more cashews. Researchers at Reading University have found that people with body odor often have a zinc deficiency – it affects about 1 in 3 people! And the problem is even worse in summer, when sweating makes you lose even more zinc. 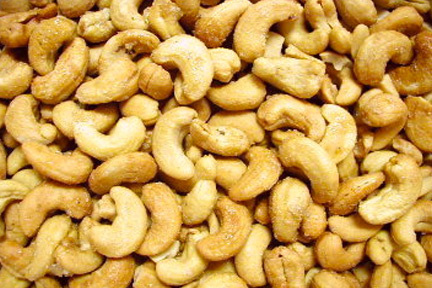 But cashews are loaded with the mineral – which stops the growth of the skin bacteria that make you stinky. Not a fan of cashews? You can get more zinc in spinach and baked beans too. 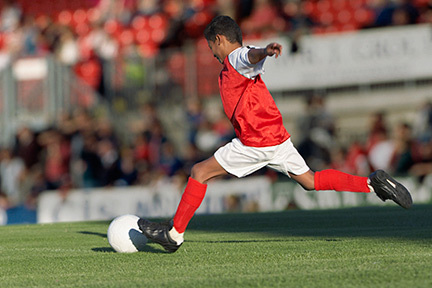 Want to play soccer like a pro? If you want the lightning-fast reflexes of a World Cup soccer goalie, eat more spinach and eggs. That’s because the amino acid tyrosine in those foods increases production of the hormone norepinephrine and the neurotransmitter dopamine. Together, those brain chemicals increase energy levels, and improve reaction times and focus. 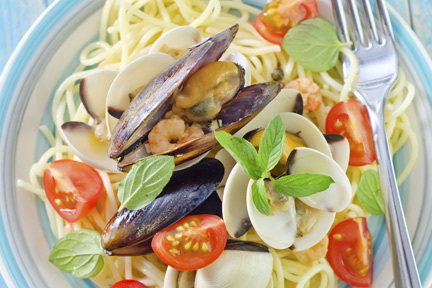 If you want a quick immunity booster, eat more shellfish! It contains selenium and zinc – nutrients that can cut the time you struggle with a cold or the flu by nearly half! Your best bet: Get two 6-ounce servings a week of shrimp, crab, oysters, or mussels. And there’s a natural way to grow stronger hair and make it grow faster. Try eating foods rich in omega-3 fatty acids. Yup, the same stuff that’s good for your heart is good for your hair. And get some more iron too, with dark-green vegetables like spinach and broccoli. Iron increases blood circulation to the scalp and help keep hair healthy from the root.